Createspace Independent Publishing Platform, 9781544749792, 266pp. 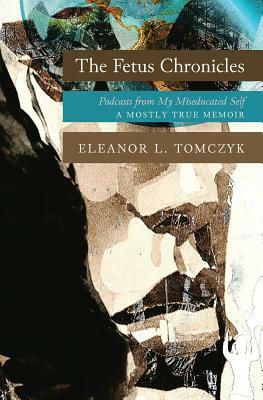 With The Fetus Chronicles, writer and humorist Eleanor L. Tomczyk completes the trilogy she started with Monsters' Throwdown and Fleeing Oz. Her latest book shares deep insights and absurdly hilarious moments Tomczyk has collected from her life. She presents her unique humor and perspective through a fantastic conceit: podcasts to her unborn self. Tomczyk's voice and cutting commentary travel back through the decades and into the womb. She's here to tell her baby self all the things she should know about the world and all the lessons she will learn. Eleanor L. Tomczyk advises her fetus self on everything from the dangers of douching to the use of words as deadly weapons. Special podcast guest stars range from Tomczyk's Aunt Lily-"Church Lady Extraordinaire"-to her own eyes and other body parts. When her children follow the "Little Barbarian Manifesto," and her own organs start reminding her about the passing of time, all the reader can do is laugh out loud. Ms. Tomczyk speaks to her past self as a Black woman, a proud (if sometimes out-of-her-depth) mother, a wise teacher, a jaded baby boomer, and the many other identities she has adopted during her storied life. Eleanor L. Tomczyk has enjoyed various careers as an educator, motivational speaker, actress, singer, and even an award-winning voice-over artist. She has written about her life in Monsters' Throwdown and Fleeing Oz and finds the humor in everyday occurrences with her blog, How the Hell Did I End Up Here? When Tomczyk isn't writing, she is reading, exploring the world, practicing her gourmet cooking, and finding the joy in the most troubled of circumstances. She lives in Virginia with her husband. Tomczyk is a proud mother and grandmother. For more information about Eleanor L. Tomczyk and her work, visit her website at www.eleanortomczyk.com and her blog at www.howthehelldidienduphere.wordpress.com.